Play OJO Casino Review: Get 50 Free Spins! 90% of new players recommend this casino 44 new players chose this casino today! Join Play OJO Casino and collect as much as 50 free spins that not only allow you to play real money slots for free, but come completely wager free! Find out how to collect your bonus, and what games you use it on the following full casino review. Play OJO is definitely not your average casino room, and while it does have free spins up for grabs for new players, there are actually no bonuses at this online casino. Instead of luring you to play with large promised sums and steeper wagering requirements, Play OJO takes a more transparent approach to rewarding new players. All new members can collect up to 50 free spins once they deposit, specifically one free spin for every euro, dollar or pound deposited. While it is somewhat of a deposit match, the best part about the free spins is that they are wager free! You can use these spins to play Play'n GO's incredible slot Book of Dead. In addition to this first bonus, Play OJO members can also take part in regular promotions included the OJO wheel, OJO Plus and plenty of other great features included this unique online gambling experience! Whether it’s million-dollar slot jackpots or a live blackjack table that gets your heart pumping, Play OJO offers an incredible online casino experience for both beginner and advanced gamblers. Enjoy the Hottest Slots at Play OJO Casino! Play some of the most popular slots on the market from the sky-high jackpot reels of Rainbow Riches and Mega Joker, to adventure slots like Gonzo’s Quest and Immortal Romance. Whether it’s high or low volatility slots that get you in the mood, there are plenty of options available to use your wager free bonus on at Play OJO. Plus, there are plenty of other real money games aside from slots, which we’ll get into next! While Play OJO has dedicated sections on the lobby for roulette and blackjack games, this doesn’t mean they don’t have more to offer fans of classic casino games! Under Card Games players at Play OJO can also find baccarat, various video poker games and punto banco. If that’s still not enough variety to satisfy you then you can head over to their live games section and enjoy Casino Hold’Em, baccarat, roulette and blackjack in the hands of live croupiers! Play OJO Casino Goes Mobile, Too! Not only can you enjoy all the great games that made you fall in love with Play OJO from any mobile browser, but you can also download the app for an even more seamless mobile casino experience. Available for both Android and iOS devices, the app allows users to enjoy the same range of games and special features as the desktop version of the site while on the move. Get in touch with Play OJO’s support team via email, live chat or telephone anytime you encounter any issues or just want a human hand when navigating through the experience. You are also likely to find all the answers you need in an extensive list of FAQs available under the Help section as well. Whether is the wager free policy on free spins or the great live casino dealers available, Play OJO has an excellent range of offers for both new and returning players. This online casino comes highly recommended, and if you’re a mobile gaming fan then their casino app is perfect for you. There are many deposit options on Play OJO Casino. You can choose the most convenient one for you. This Policy is an integral part of the Terms and Conditions of Use and thus come into effect with the Terms and Conditions of Use. Any general terms of the Terms and Conditions of Use shall apply to this Policy, except where explicitly excluded. Any reward you have will be subject to this policy. Colluding in any way with others in order to take advantage of Rewards or offers. If, at any point in time after reading this policy something is not clear, or you would like to be blocked from receiving our Rewards and/or to have any Rewards removed from your account, please contact our Customer Support Department team before you commence play. In the event that a technical misconfiguration results in the incorrect number of free spins or OJO Wheel spins added to your account we reserve the right to correct this by removing any winnings received and re-adding the reward with the correct configuration. If for any reason you do not manage to claim your reward/wheel/free spins after it was added to your account, please contact the customer support department. If the Reward you were trying to claim does not appear automatically in your account, please contact our Customer Support team for assistance. A Player is not allowed to register more than one account. This means only one account is allowed to be registered per person, household, family, household address, email address, credit card number, e-wallet account or shared computer environment (example: a library, workplace, fraternity, university or school). Any attempt to try to deceive management by registering multiple accounts to gain rewards will be deemed as abuse and will result in the account(s) being suspended and the removal of your funds from your Balance. Individual promotions may have additional terms and conditions which will override or contribute to the terms and conditions here stated. Please check carefully all terms and conditions associated before taking part. Should the terms and conditions of the individual promotions conflict with the Reward and Game Play Policy, the individual promotions terms shall apply. 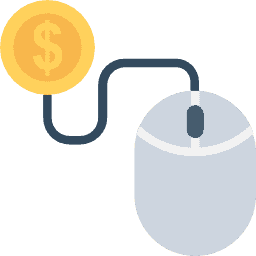 Regardless of the currency that we advertise or display reward amounts, the reward will always be credited according to the currency your account is configured to. We reserve the right to cancel promotions or reward offers, of any kind at any time, without prior notice. Any such cancellation will not affect an award already redeemed. All offers you see in your Kickers are available to you because of the current state of your account. Offers can become unavailable before the time has expired due to changes within the account caused by transactions made. Unless otherwise specified, the minimum deposit to qualify for any deposit reward is €10 or the equivalent value in any other currency. A Non Real Account which received free reward (no deposit reward/registration reward etc’), is limited to a win a maximum amount of €100. This means that any Non Real Account will have any amount greater than €100 removed. If you are making or made a first deposit and you have a balance greater than €100 at the time of depositing you must contact us before playing in order for us to make the necessary balance adjustments. Failing to do so will result in any extra wins being removed from your account.